solo exhibition witnessing the artist’s engagement on environmental issues. 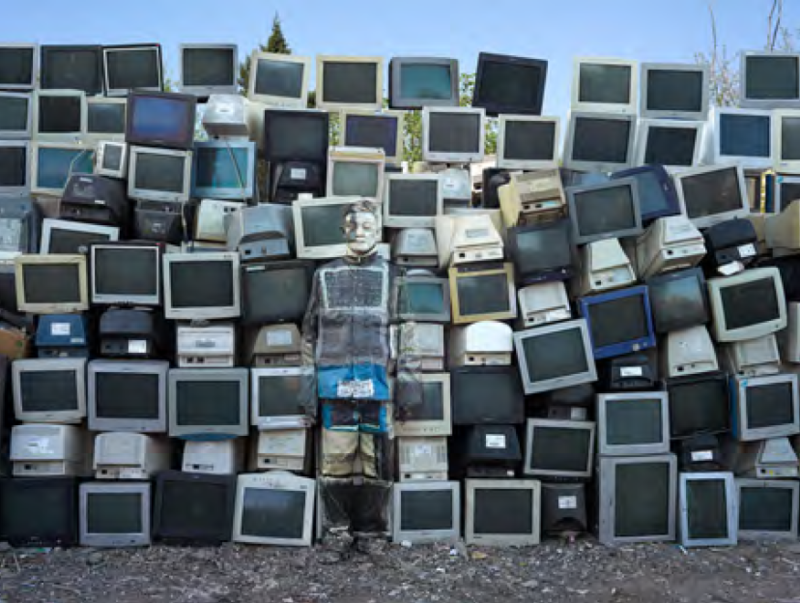 Since the beginning of his career, ecology has been a central topic of Liu Bolin’s artistic production. 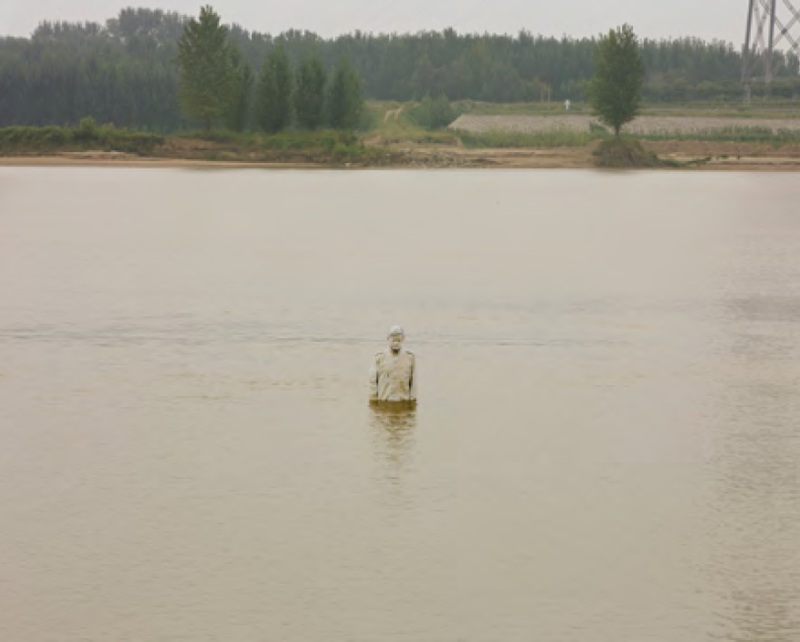 In 2011 he braved the polluted waters of the Yellow River in one of the most industrialized regions of his country, two years ago he organized a collective performance at the edge of a large artificial forest aimed to stop the spreading of the Gobi desert in the Northern territories of China. 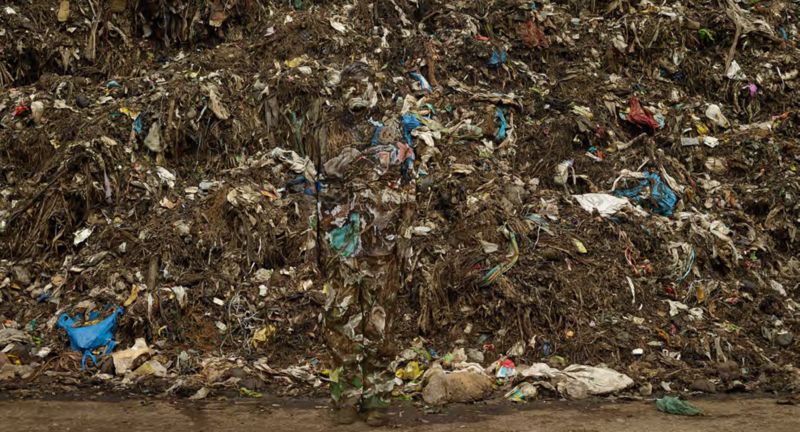 More recently he stood among piles of garbage in a waste collection center in Bangalore, India. Last June, the artist flew to the French Atlantic Coast where he achieved two new performances in collaboration with Surfrider Foundation Europe to raise public awareness on the issue of marine litter. For decades the NGO has launched awareness campaigns against pollution caused by plastic waste, working to preserve the ocean. The exhibition will display the photographs linked to his most recent intervention in France as well as his prior performances in China and India, where rapid industrialization and population growth have adversely affected urban climates, particularly air quality. According to The State of Global Air 2017 report, in 2015 both countries saw around 1.1 million early deaths due to air pollution. Along with his renowned photographic work, one site-specific Liu Bolin, Hiding in the city 97, Yellow River, 2011, Archival pigment print, 120 installation from the VISA Portrait series, made of dozen of car air x 150 cm (© Liu Bolin/ courtesy galerie paris-beijing) filters will be also on display at the gallery. The chromatic difference due to the pollution degree of its components immediately draws the viewer’s attention. A second reading will reveal an unknown face. The installation plays with the concept of individuality and the notion of cause and effect. The 28-minute video Winter Solstice (2016) will be also presented to the public for the fist time in Paris. The images show camouflaged dancers struggling as they fade into Beijing’s smog on December 20th, two days before the winter solstice, an important festival in the traditional Chinese calendar, with Marcel Duchamp’s Musical Erratum as background sound. The choreography is inspired by the movements people instinctively make when their lives are suppressed. This body of works represents a reflection about the deleterious consequences of human actions on our own habitat. We are now far from the Taoist principles at the core of Chinese Tradition, teaching a sustainable and harmonious relationship between humans and nature. By disappearing in a highly symbolic background Liu Bolin continues to denounce with finesse some important issues of our time while questioning the place of the individual in his or her own environment. His disappearance challenges the viewers both intellectually and emotionally, just the time for them to discover the silhouette hiding in the photograph. “I hope my works will act like a warning for my generation and for generations to come”. The show will take place simultaneously with the artist’s retrospective, held at the MEP, Maison Européenne de la Photographie from Sept 6th to Oct 29th. This first institutional monograph of the artist in France will cover ten years of his artistic production focusing on four main themes: politics and censorship, tradition and Chinese culture, consumer society and freedom of the press. From September 9th to January 8th Liu Bolin will take over the Galerie des Enfants of the Centre Pompidou as part of the event Galerie Party to celebrate the Museum’s 40th anniversary. On this occasion he will orchestrate a public performance by disappearing in front of the installation designed by Gaëlle Gabillet and Stéphane Villard from Studio GGSV.